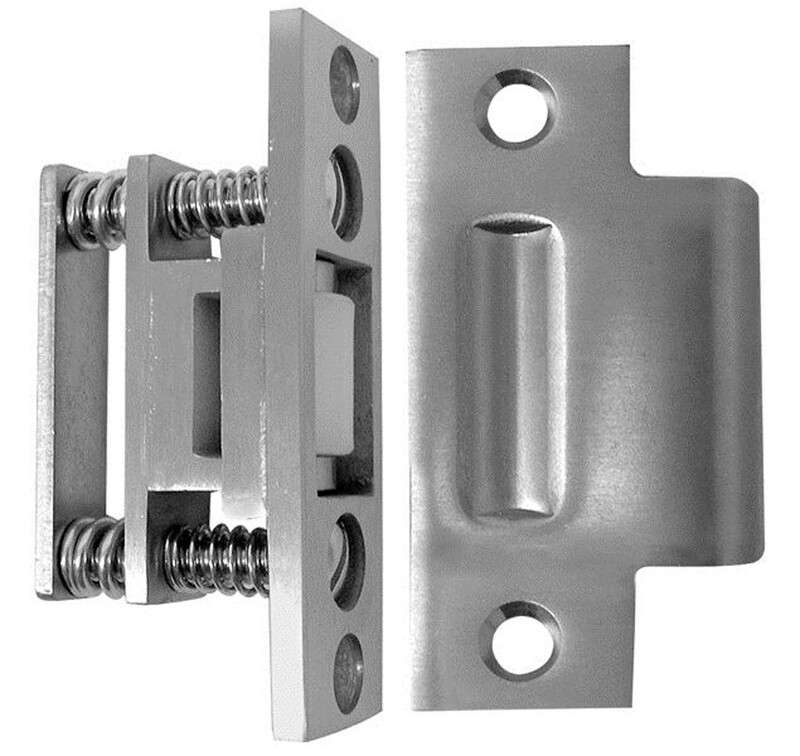 This suicide resistant roller latch is recommended to replace the lever handle or knob type latch on the patient room bathroom door. This does allow the door to stay closed without the opportunity to tie anything to a lever or knob. A push/pull plate needs to be installed on both sides of the door to allow operation. The DH490 model is available in a 2-3/4 inch tall strike.